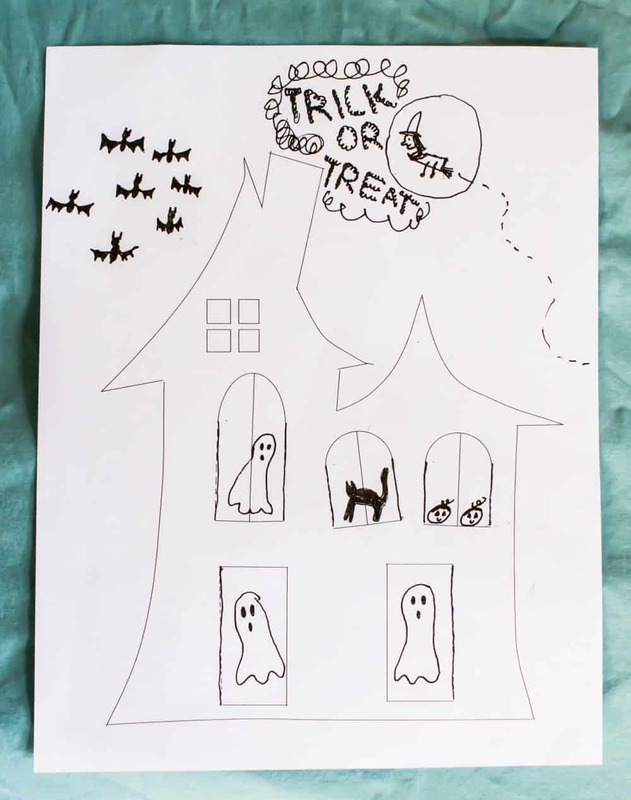 I made this fun Halloween haunted house printable for my kids last year on Halloween. Now I’m sharing it for your kids to enjoy this year! We have used this printable in two ways. I actually created it to print on my Silhouette Cameo, but if you are patient you can use scissors or an X-acto knife to cut it out instead. If you own a silhouette machine and want to the .studio3 file, drop me a note on my Facebook page and I’ll send it over. You can let kids add color using paint, crayons, colored pencils, markers, and Halloween stickers. 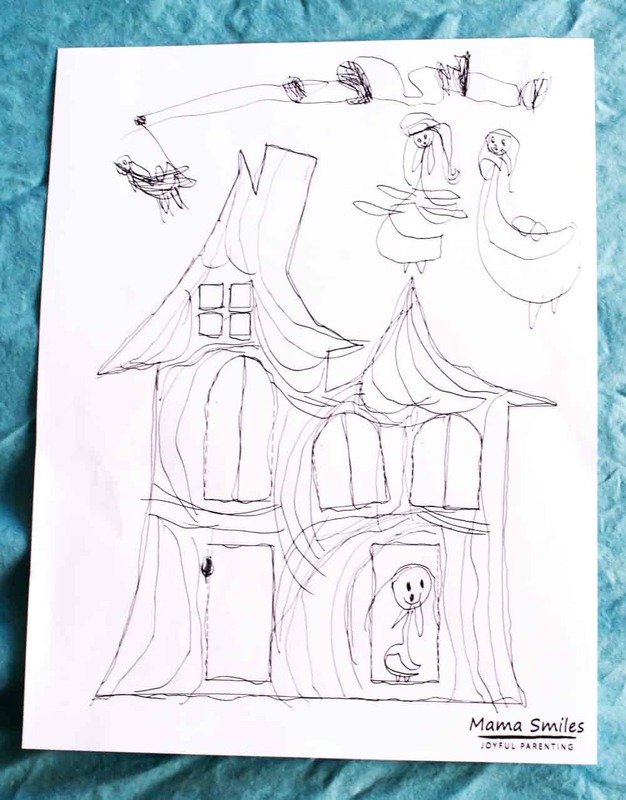 However you choose to use it, this free haunted house printable makes a fun creative storytelling activity for kids! You can download this printable by clicking on the image below. It should load a pdf file that you can easily print. Do you have a Halloween activity to share with us? Let me know in the comments below, or by tagging me on Instagram or sharing on my Facebook page! Oh my goodness, I love this! I’m definitely going to be using this when we do our Halloween activities. I’ll see what I can also do to match this printable with how we decorate our house door this year. Love the flip-flaps! And your daughters did a terrific job decorating the 2D version. 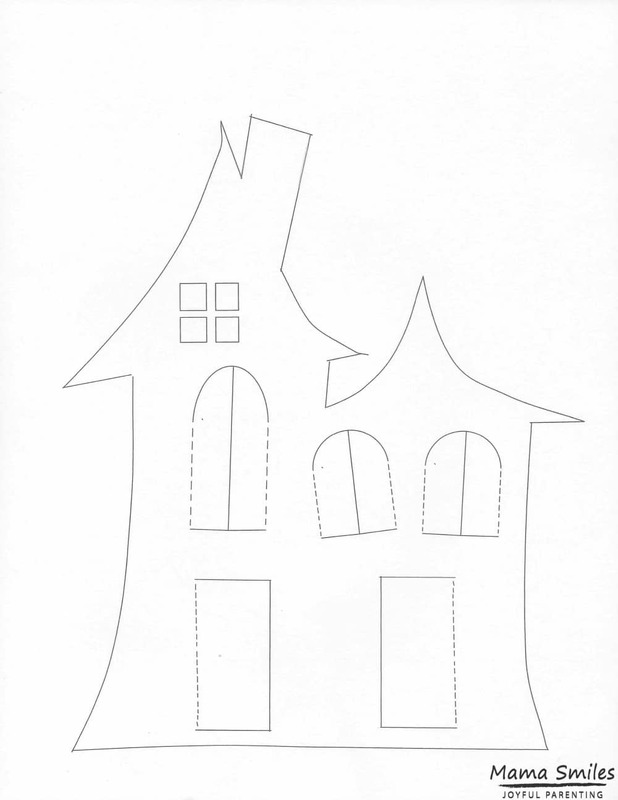 There’s a super fun quilting book I got one time that’s Halloween-themed, it’s got all sorts of windows and doors you can open. I have yet to complete a single project in the book, but someday…. I made a bunch of paper houses like your husband, but I also make a lot of 2D cards, and projects like this. Cute printable! I’m not ready for Halloween yet, are you? It’s on a Monday so I’m not sure if my kids want to trick or treat, especially the high schoolers. Halloween on a Friday or Saturday is the best! So creative and cute! I love the ease of printing it off and it is ready to go. You could put it on cardstock and add in photos of friends and family to make it fun for real little ones too. Thank you! I love the photos of family and friends cardstock idea! These are so sweet. I love things that go bump in the night. Love the flaps that open!